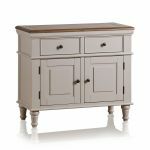 Sideboards are one of the most versatile furniture pieces for your home, and the Shay small sideboard is no exception. 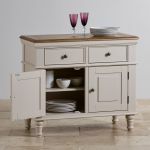 It brings both storage and style into your home, and is a durable addition to your living room, dining room, and more. 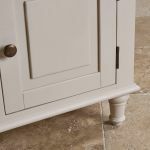 It's made from only the highest quality of materials, and 100% solid hardwood, so you can rest easy knowing it will look great in your home for years to come. 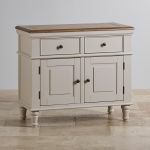 The base is painted in a delightful shade of almond grey, which perfectly coordinates with the rustic solid oak top with striking cut detailing. 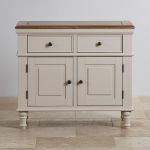 The top has delicate cornices, while the legs are gently turned, giving it a feeling of simple elegance. 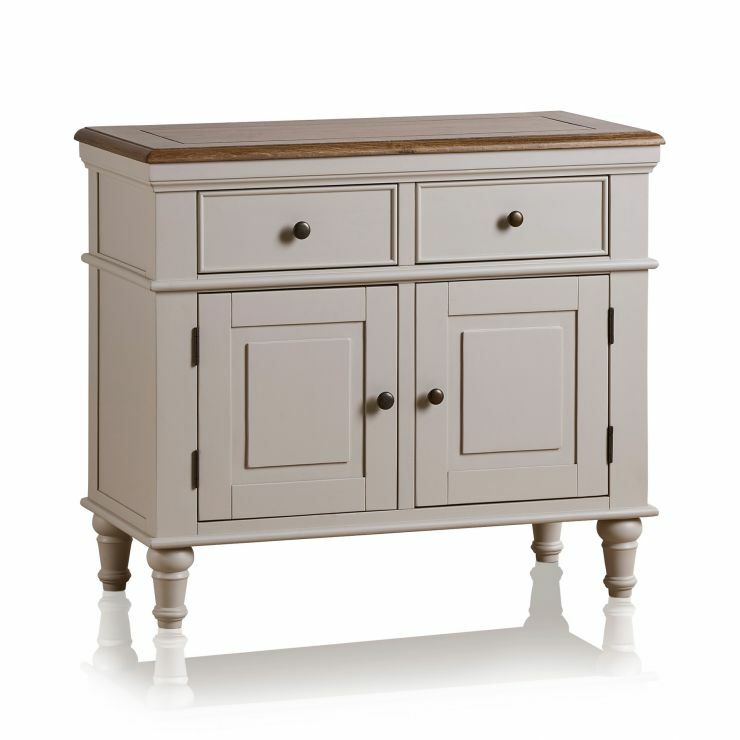 Our small sideboard features lots of cupboard storage area, and the drawers help to keep clutter out of sight. 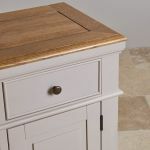 With solid hardwood bases, backs, and runners, as well as real dovetail joints, they're robust enough to stand up to whatever you put in them. 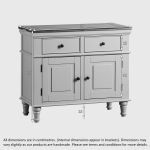 The look is completed with contrasting dark metal hardware, so this sideboard will certainly make a statement in your home!